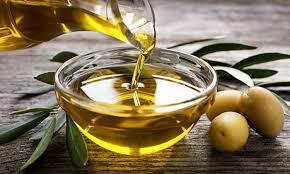 The unsaponifiable fraction of Olive Oil contains the natural hydrocarbon squalene as a predominant component. Hydrogenation of this unsaponifiable fraction provides OLIVE DERIVED SQUALANE. Low temperature chromatographic purification techniques ensuring a consistent high quality final product have been developed, and no solvent is used at this stage of the manufacturing process for the Olive Derived SQUALANE is stable. No preserving agents or antioxydants are incorporated. SQUALANE is equivalent to the human sebum and presents perfect compatibility with the skin. Completely non-ionic, without color nor odor, Olive Derived SQUALANE is perfectly adapted to modern up-market cosmetic formulations.